Diane has long term experience working with a wide range of clients and their families. 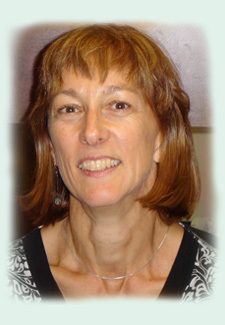 She has a special interest in paediatrics and neurology clients as well as those with multi-system needs. Prior to private practice she was a consultant with the Home Care and School Health program. Diane draws on her experience and extensive training to conduct a multi-disciplinary and functional approach to assessment and treatment. An in-depth posture analysis is one of her assessment foundations. Highlights of her skill set include practice as: an advanced Bobath therapist, Normal Movement Therapist, Advanced Myofascial Release Therapist, Cranial Sacral therapy practitioner and Rythmic Movement Training practitioner.